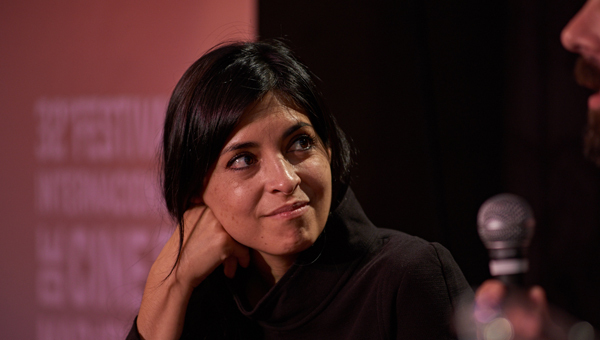 Cecilia Barrionuevo has been appointed as the new Artistic Director of Argentina's Mar del Plata Film Festival—the only A class film festival in Latin America recognized by the FIAPF, Fédération Internationale des Associations de Producteurs de Films—replacing the American Peter Scarlet, who lasted one year in the post. The announcement was made official today by the Argentine Film Institute (INCAA). Barrionuevo, 42, had been a programmer for the film festival since 2010 and she will oversee the 33rd edition which will take place November 8 - 18. She has a Bachelor's Degree in Communication from Universidad de Córdoba (UNC) and a Master's in Documentary Filmmaking from the Universitat Autònoma de Barcelona (UAB). In 2013 she received the Leo Dratfield Professional Development Fellowship to participate in the Flaherty Film Seminar. She's co-editor of the “Las Naves Cine” collection, and has participated as a jury member in different international film festivals, and more recently she co-programed with Cinema Tropical's Carlos A. Gutiérrez the 3rd edition of the Neighboring Scenes: New Latin American Cinema at the Film Society of Lincoln Center in New York City." "I greatly appreciate the possibility of taking on the Artistic Direction of the Festival. I know that, in some way, this honor is not granted to be alone, but rather to a team of programmers who have been working for many years with dedication, commitment and passion for cinema, "said Barrionuevo. On his end, the president of INCAA, Ralph Haiek, said that "Cecilia knows and loves the Mar del Plata Festival and is an extraordinary programmer with international recognition. Despite her youth, she has an experience and a journey that few have, which is supported by a great teamwork with the programmers that made Mar del Plata have a program of excellence in recent years."